This Westcliff model from William Henry Knives was the first of the newer button lock knives that I had ever owned from the Company. They were introduced around five years ago and replaced the Spearpoint/Lancet/Kestrel series of knives. This Westcliff has a wharncliffe shaped knife blade of S30V and a titanium handle. The blade is a fairly generous sized at 2 7/8″ long, and though is a wharncliffe, it has a slightly upswept tip. 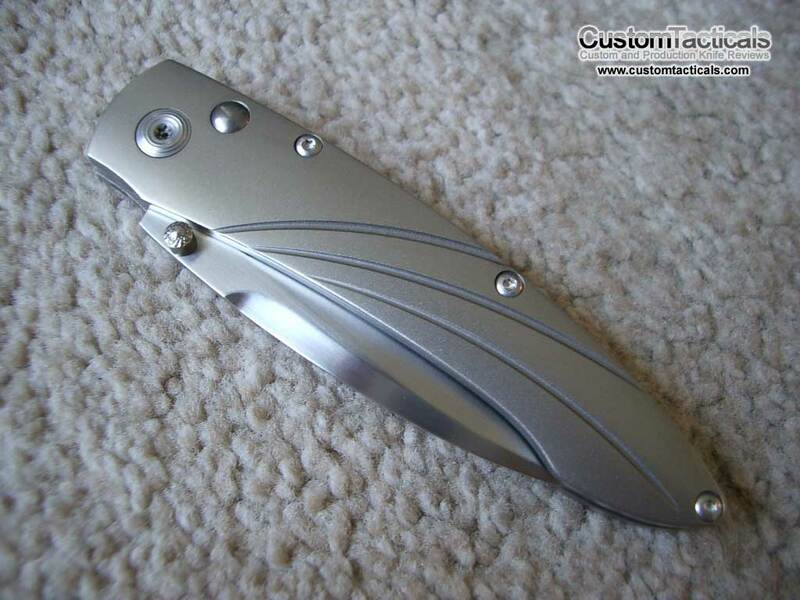 The titanium handles are beautiful machined and the overall feel of the knife and the action are top notch. The button lock operates very similarly to an automatic in that you push the button to release the lock, and then close the blade. The button only unlocks the knife, so the blade is opened with the thumbstud like a regular folder. 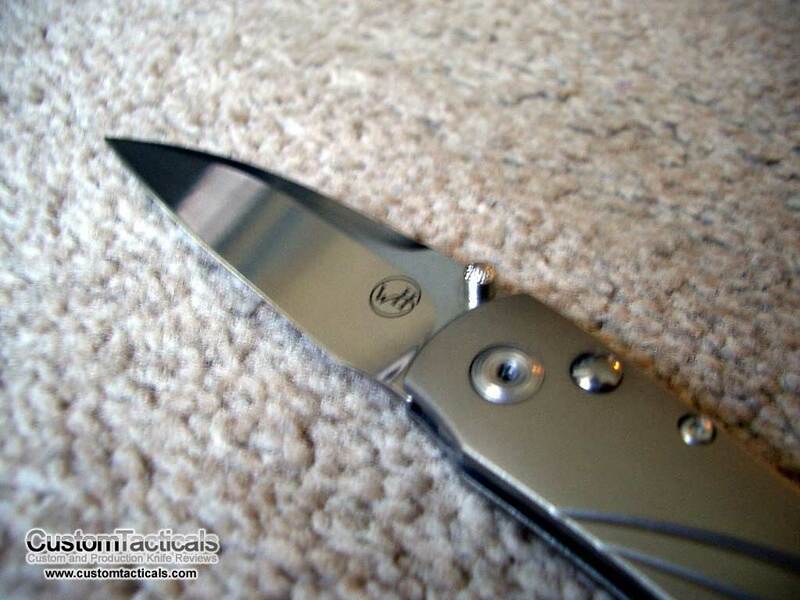 The finish on the blade is very smooth, with a polished stonewash look to it on the grinds, and fully polished flats. Lockup is solid, and though the knife is very thin, it is very sturdy and seems like it would take quite a beating. 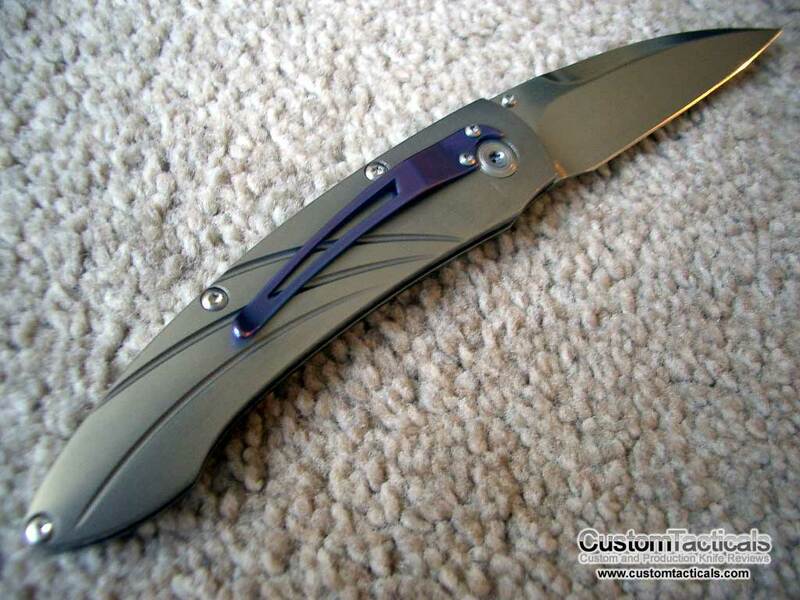 The pivot is oversized and very nicely designed, and the annodized purple titanium pocket clip is also very tastfully mounted, making this first rate gent’s folder a beautiful as well as functional. Overall, this is probably one of my favourite gents folders, exceeding the CRK Mnandi in many respects. I prefer the larger size of the blade and the ease of opening the folder, whereas the Mnandi is more difficult for my relatively small hands. The button lock is quite strong and easy to use as well, which makes this a very functional gent’s knife.